I think everyone is looking forward to spring as much as I am. 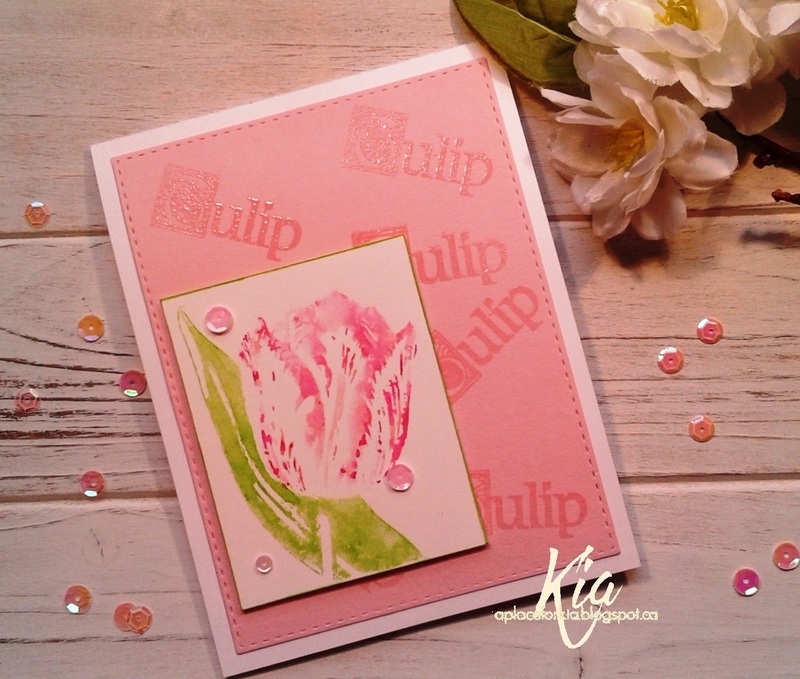 So I decided to do tulips today and as I need a few birthday cards I would make happy tulips! 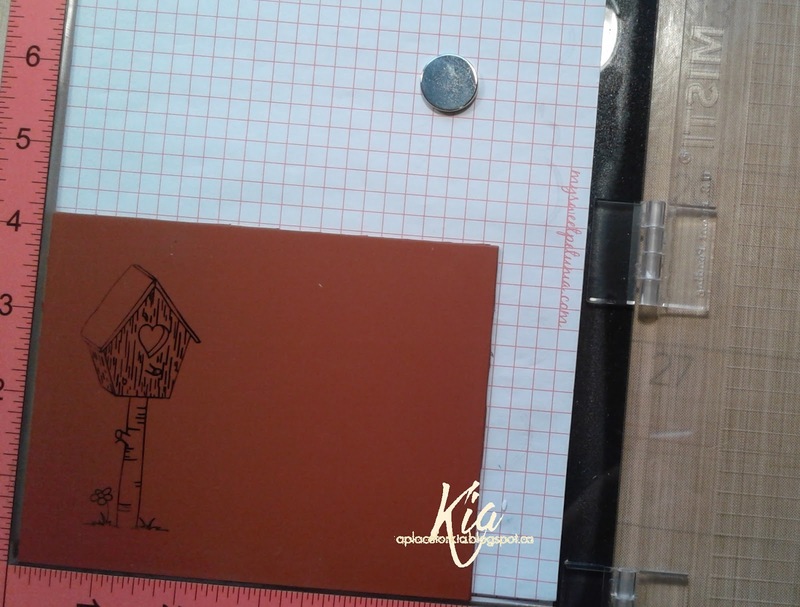 This stamp was previously a wood stamp, but I removed it from the wood and mounted it on some foam, so I can use it in my Misti. Doing this technique would have been impossible, at least for me, with a wood mount. 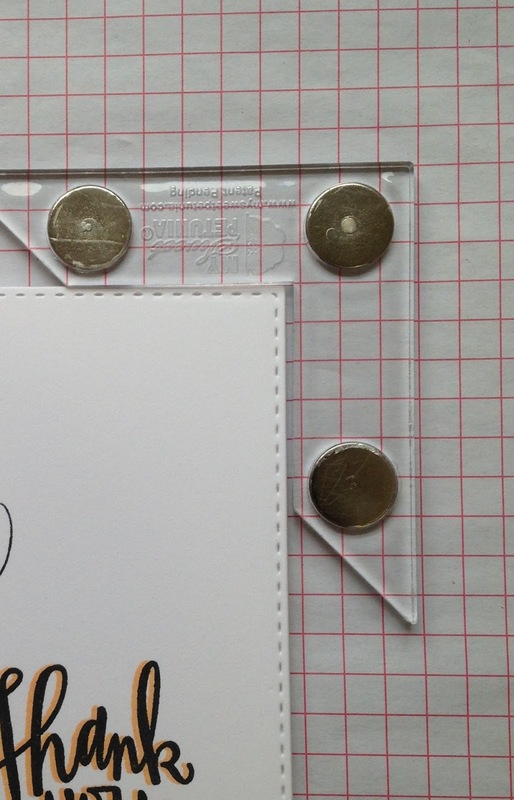 I set up my original Misti with my card base and the stitched panel cardstock piece. The stamp was coloured with my markers and spritzed with water before stamping, then I added more colour to the stamp and for the second stamping I did not add any water. I then removed the panel and did the same thing on the card base. 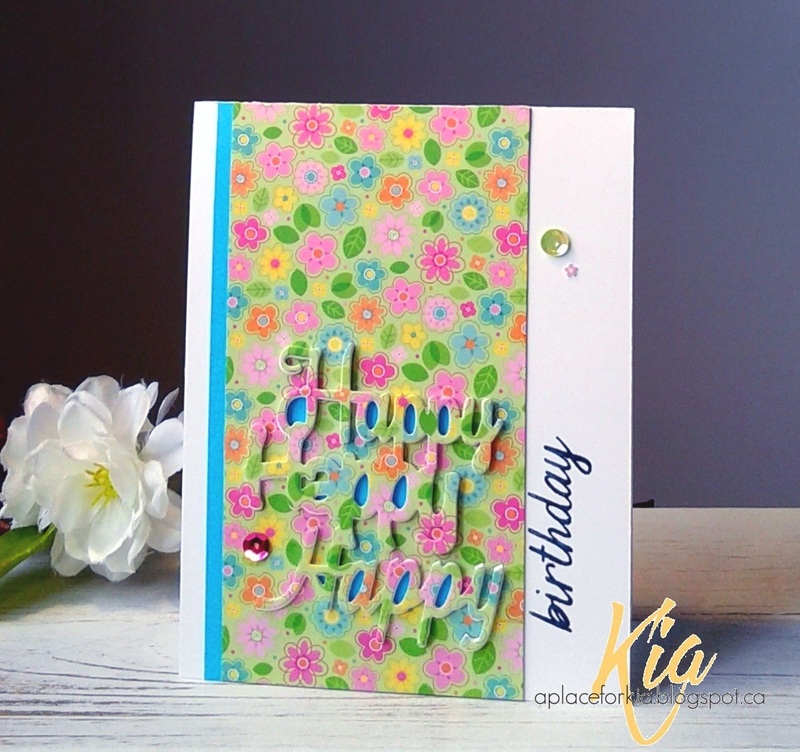 I sponged on the yellow in the corner and just slightly along the top and the bottom of the panel, then placed it in my mini Misti and stamped the sentiment on the panel and again on a piece of cardstock. I die cut the "bring on the" portion with my label and attached to the card panel, then attached the panel to my base on foam strips. A few sequins, just because, finished my card. 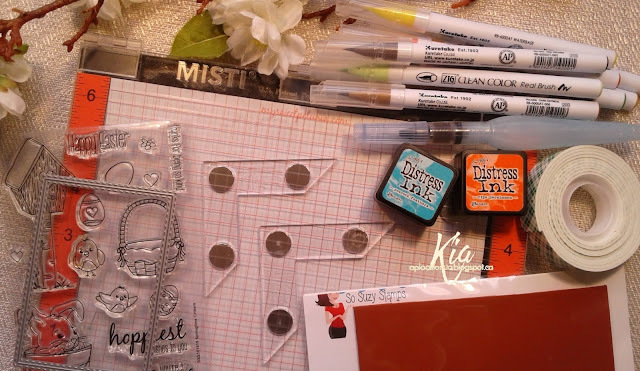 Products: Penny Black Efflorescense, Penny Black Sprinkles and Smiles, Simon Says Stamp Stitched Rectangles, doCraft Markers, Tim Holtz Distress Ink Mustard Seed, Frantic Stamper Label, Neenah 110lb Cardstock, Foam Tape, Sequins, Gems. 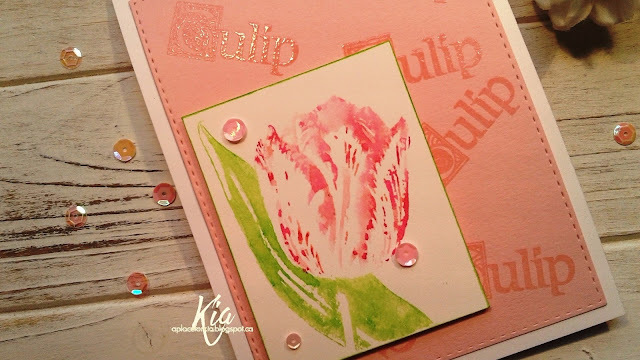 I have seen the watercoloured plaid technique done in the past and wanted to give it a go for this spring card. Clearly I need more practice. I used my Winsor Newton watercolours to mix the lighter colours and away I went. One would think that keeping a line relatively straight should be easy on a small card ... not so easy, at least for me. I heat dried the lines as I went in order not to have any bleeding, and once I completed the plaid I then added Wink of Stella gold pen. I then stamped the shadowed sentiment. The shadow appears darker in the picture than it actually is. I added the butterflies and a few sequins to finish. Thanks for having a look today. Products: Penny Black Butterfly, Winnie & Walter Big Bold Seasons, Neenah Cardstock, Fabriano Hot Press Watercolour Paper, Winsor Newton Watercolours, Wink of Stella Gold Pen, Sequins. This card I did to send to my Veterinarian Dr. House, who had a visit this past week with my bird CC. She did a complete exam and cut wings and claws, and as it turns out CC is a girl. I did apologize profusely to her ... poor girl. She is a great bird and Dr. House did comment on how gentle she was, even when she tried to bite you. So, to thank the Doctor and her staff I made this card. For this card I first die cut my watercolour paper, then arranged the birds in my Misti until I liked their placement. I had intended on cutting the circle in the centre, but once arranged I would lose several of the birds, so down to the corner my circle came. I watercoloured my birds using my Zig Brushes, then die cut the circle in the corner. I die cut another rectangle made from cardstock and lined my watercolour panel on top of that panel, then attached to my card base. I added Wink of Stella to the hearts, and a few sequins to finish. 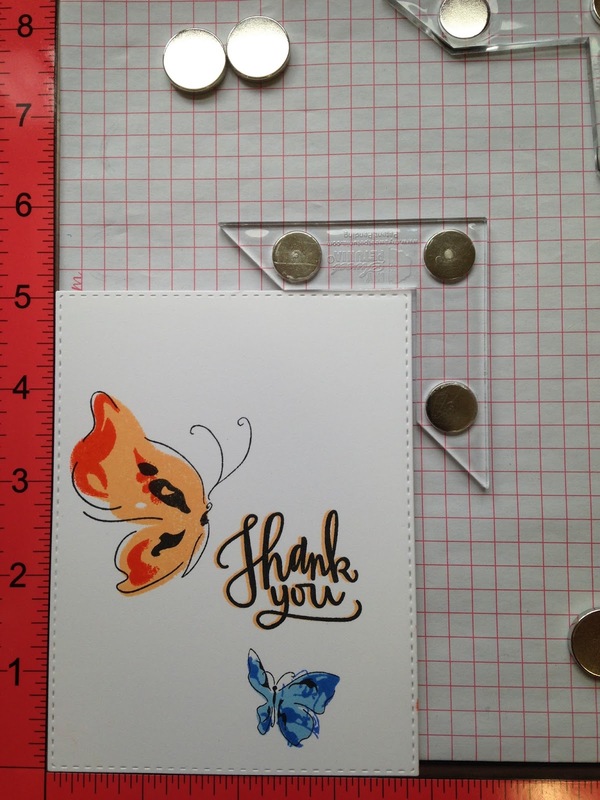 I hope you enjoy this card and thank you for visiting. 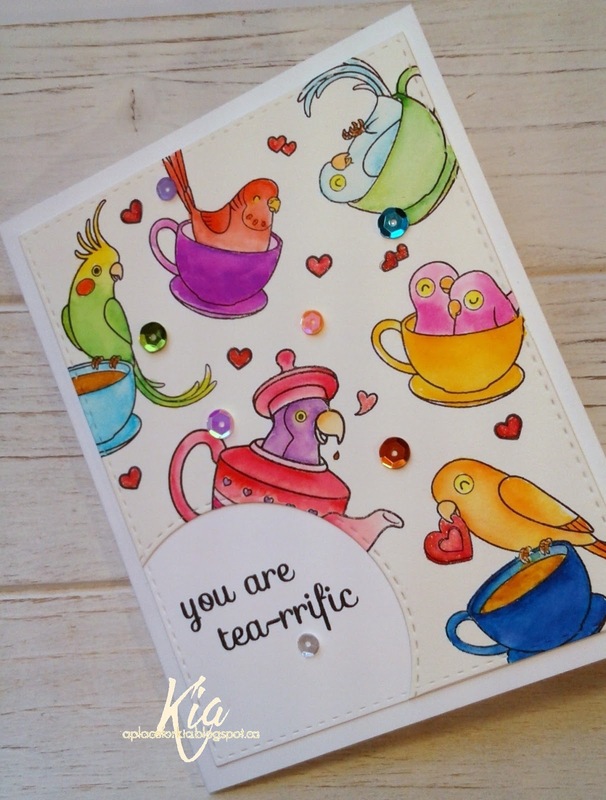 Products: Your Next Stamp Love Birds, Simon Says Stamp Stitched Rectangles and Stitched Circles, Neenah Cardstock, Fabriano 140lb Hot Press Watercolour Paper, Zig Brushes, Wink of Stella Brush, Sequins. 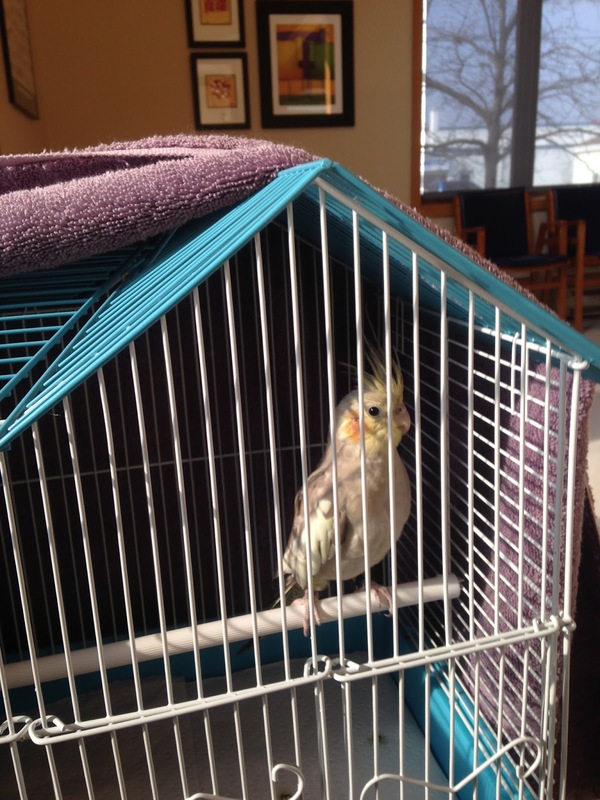 This is a picture of CC in "her" travel cage in the waiting room at the Veterinarians office. 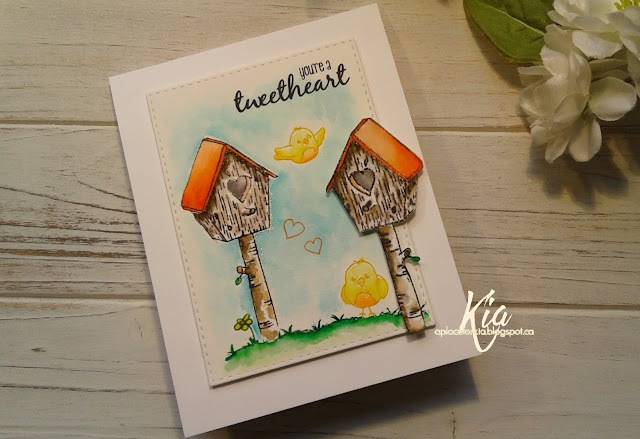 This is a "new to me stamp set" that I am playing with called Love Birds from Your Next Stamp, and I certainly do love them as you can tell. I send monthly cards to some friends that live in British Columbia, hence all of these will go to good homes. 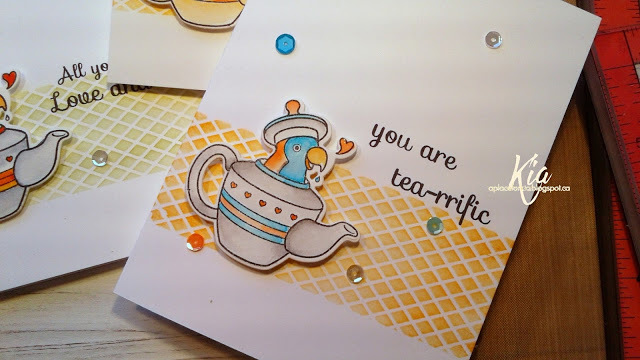 I have a post on My Sweet Petunia explaining how I made these cards using my Mini and Original Misti's. 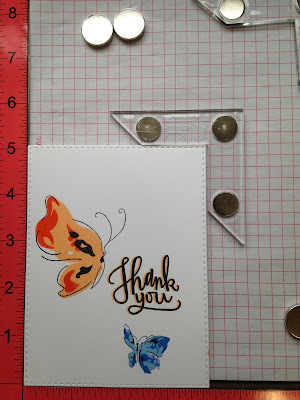 The stencil portion of the card was done in my Misti using the new Creative Corners instead of having to tape down my stencil. I taped the stencil for position purposes only, then applying the ink with Clarity Brushes. 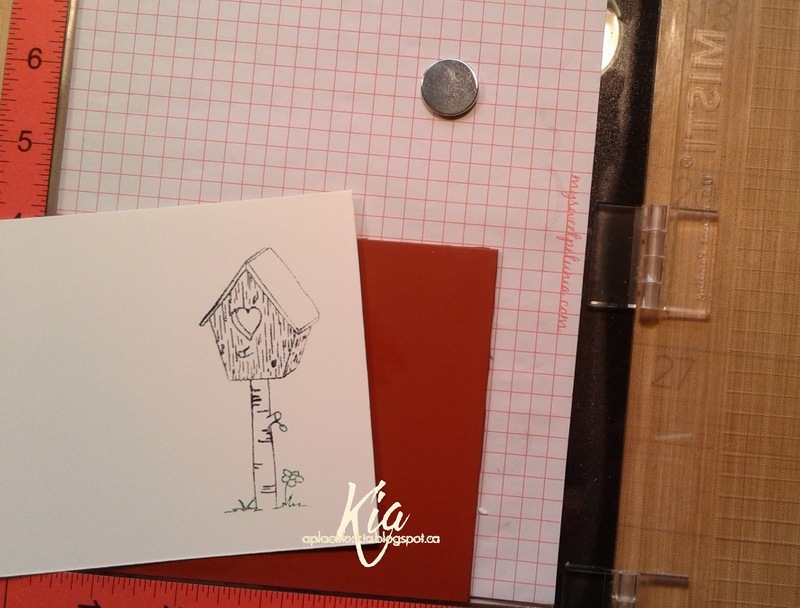 My Mini Misti I set up to stamp and line up the coordinating die for cutting, as well as stamping the sentiment. 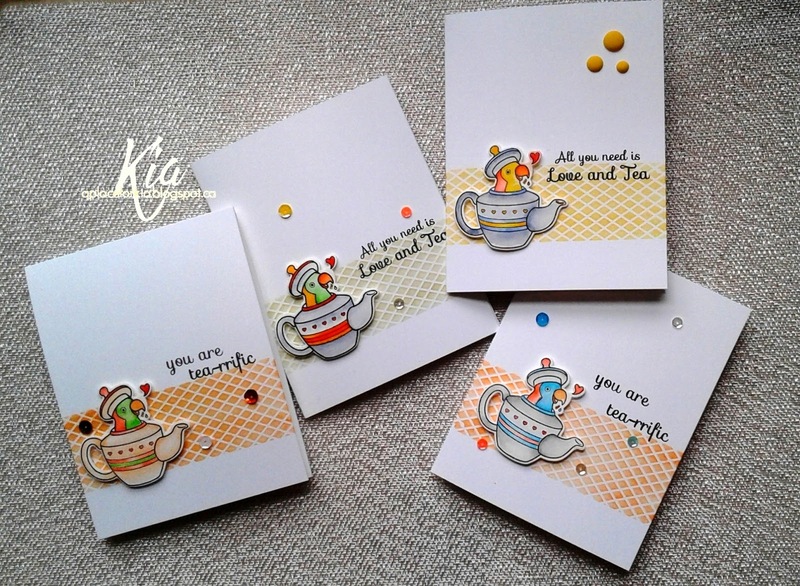 Each of the teapots I coloured using Zig Brushes, in different colours for each card, and styled then attached on foam dots. To finish, I stamped my sentiment and added sequins or sprinkles. 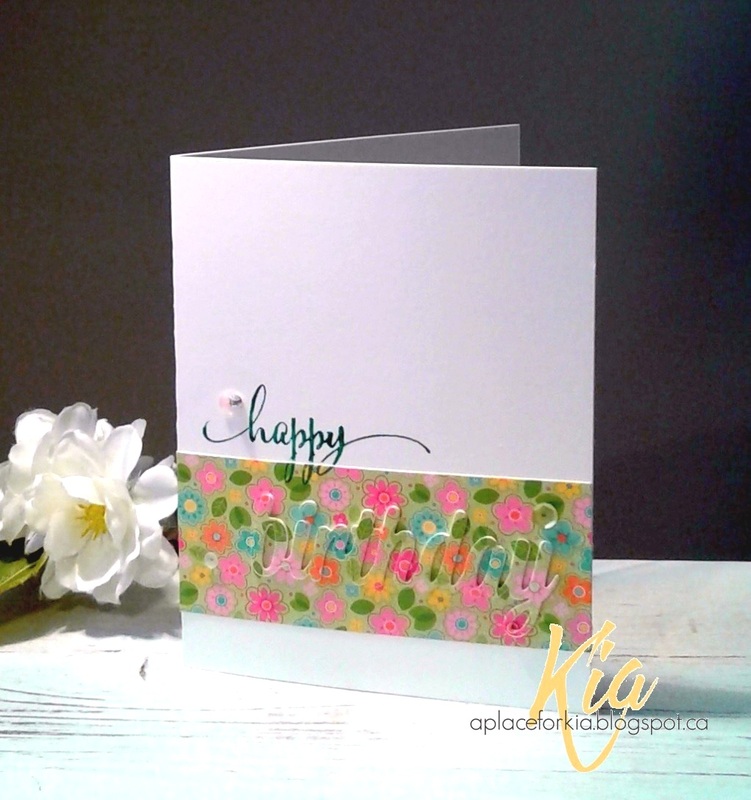 I hope you enjoy these cards and thank you for visiting my blog. 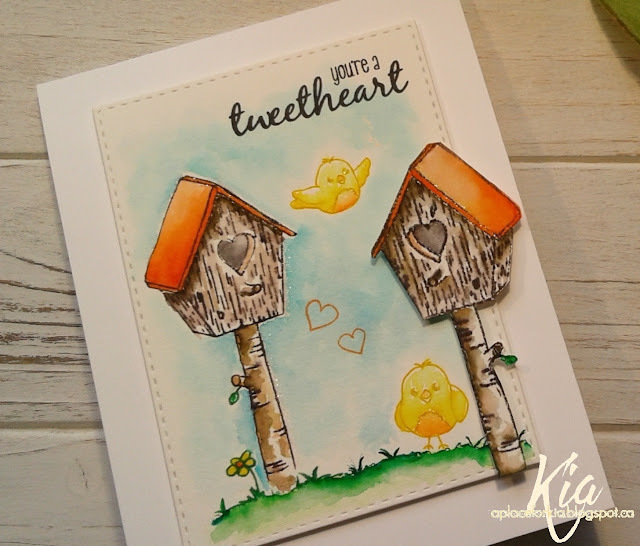 Products: Your Next Stamp Love Birds, Memory Box Textured Diamond Stencil, Zig Brushes, Tim Holtz Distress Inks, Neenah Cardstock, Sequins, Sprinkles, Foam Dots. 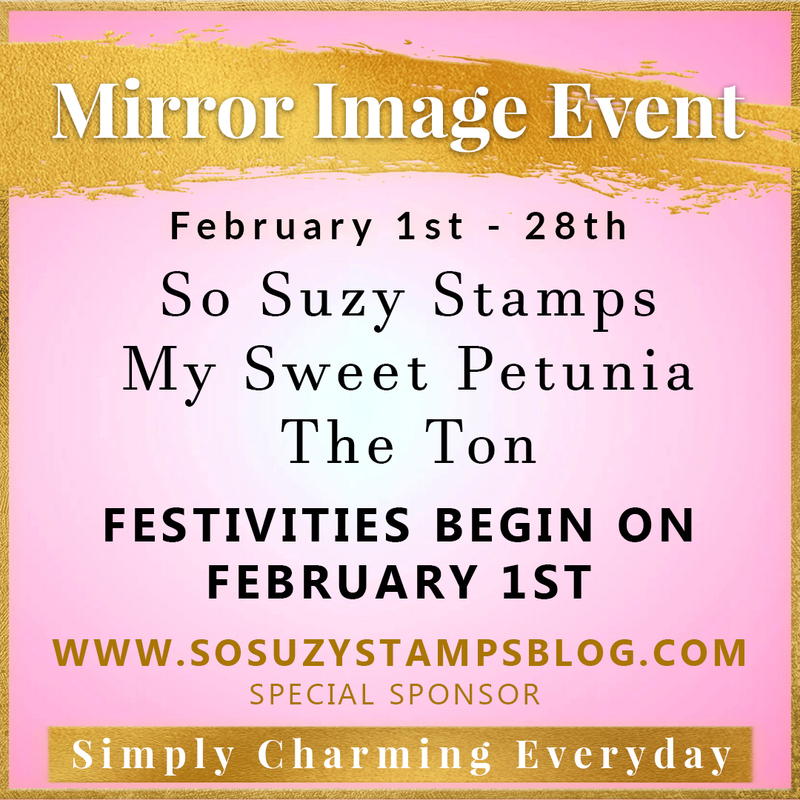 The Clean and Simple challenge at Splitcoaststampers today is about chocolate. Do you ever feel you are not in the mindset for a particular challenge? That is how I felt about this particular challenge. The first thing that comes to mind when one says chocolate is, of course, candy. I went in a totally different direction and used chocolate colour, with some turquoise added and made a masculine birthday card, which I will be needing soon. I think this stencil works well for birthday cards. 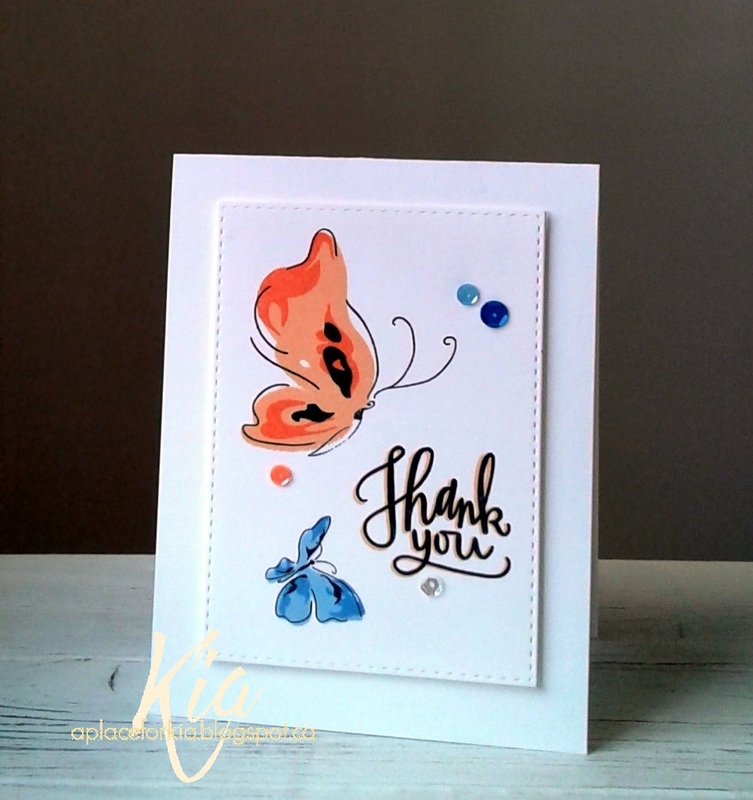 I added the lighter brown border and stamped using black ink so the sentiment popped off the card. And yes, even guys like sequins, so a few were added to this card in the brown and gold tones. 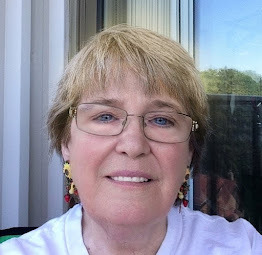 Thank you for visiting my blog and having a look. Products: Tim Holtz Clockwork Stencil, Simon Says Stamp Big Scripty Greetings, Tim Holtz Distress Inks Gathered Twigs, Brushed Corduroy and Peacock Feathers, My Favorite Things Dots and Stripes Designer Paper, Neenah Cardstock, Sequins. My final Valentine card for this year. 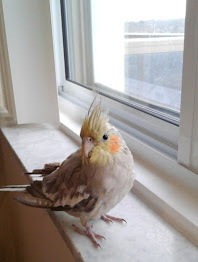 Being the owner of a sweet feathered friend, I love bird stamps, just to have some fun with. 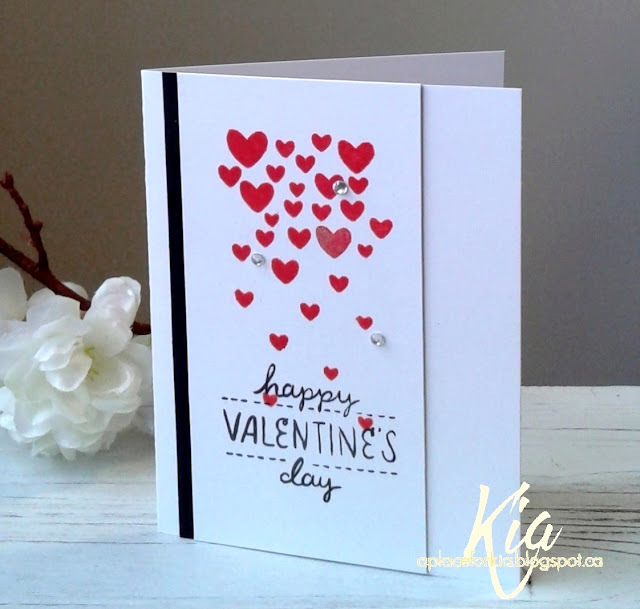 To start my card today I embossed my card panel with the hearts embossing folder and die cut the heart and label from designer papers. 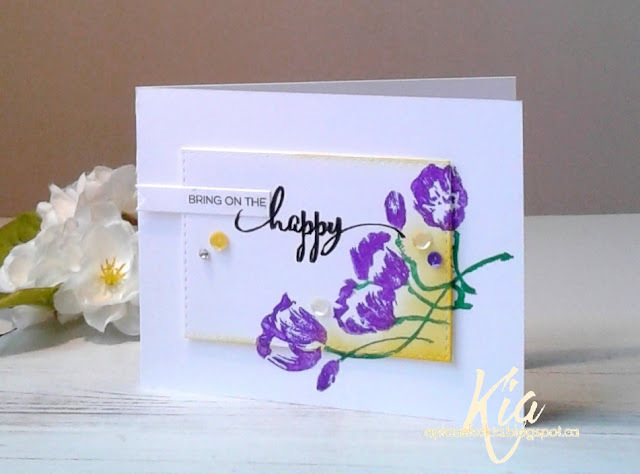 To make stamping my sentiment easier, I used my Misti, die cutting the label, placing it back in the negative designer paper and lining up my stamp - easy peasy. I did the same to die cut my bird. 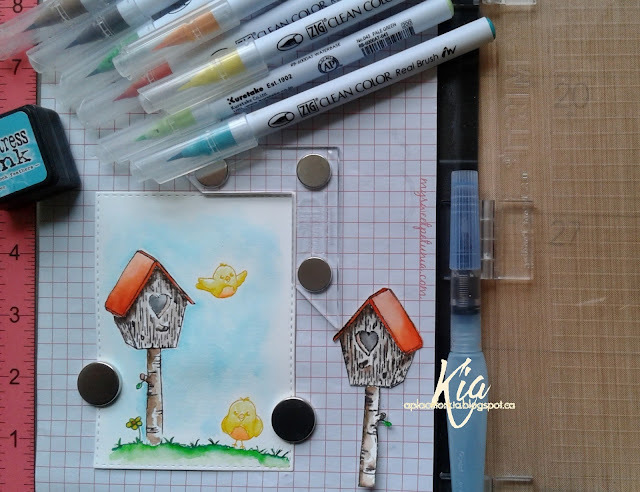 To colour the bird I used my Zig Brushes, then attached him to the card on foam dots. Such a fun card to do today, I hope you like it and thank you for visiting. 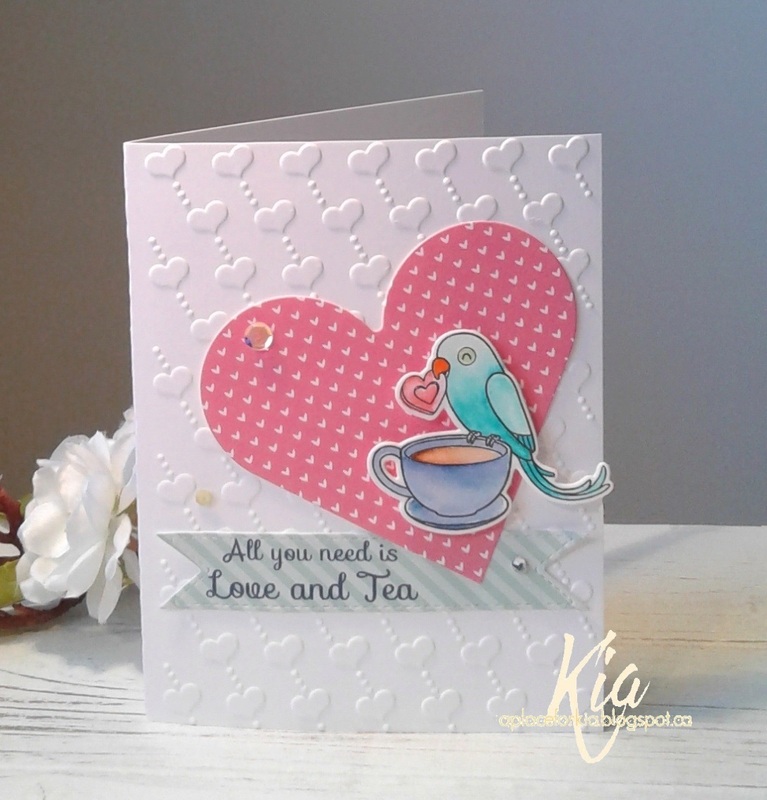 Products: Your Next Stamp Love Birds Stamp Set and Die Set, Crafts Too Love Hearts Embossing Folder, Frantic Stamper Stitched Double Fishtail Labels Die Set, Spellbinders Nested Hearts Die Set, Neenah Cardstock, Lawn Fawn Polka in the Meadown Designer Paper Pad, Fabriano 140lb Hot Press Watercolour Paper, Zig Clean Colour Watercolour Brushes, Tim Holtz Distress Inks Chipped Sapphire, Foam Dots, Sequins, Crystal Gem. 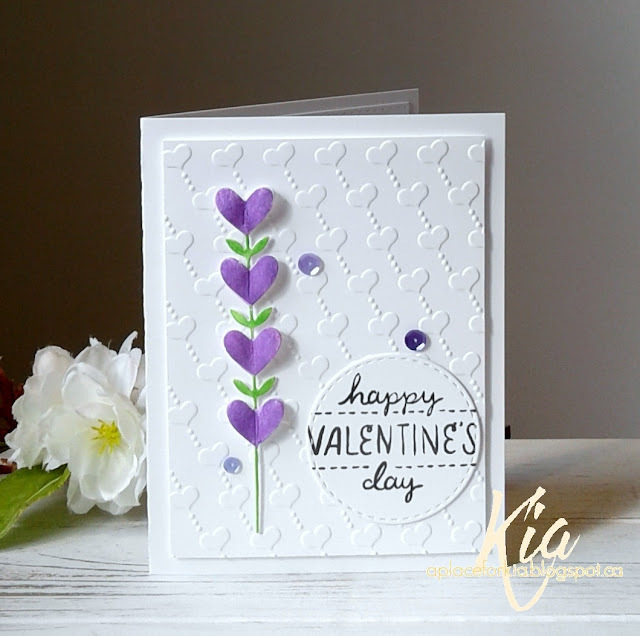 A card made for a customer, whose fiancee who loves purple. I embossed the background panel and attached on foam strips. For the flowers I used Zig Brushes to paint the flowers and attached on a couple of foam dots. 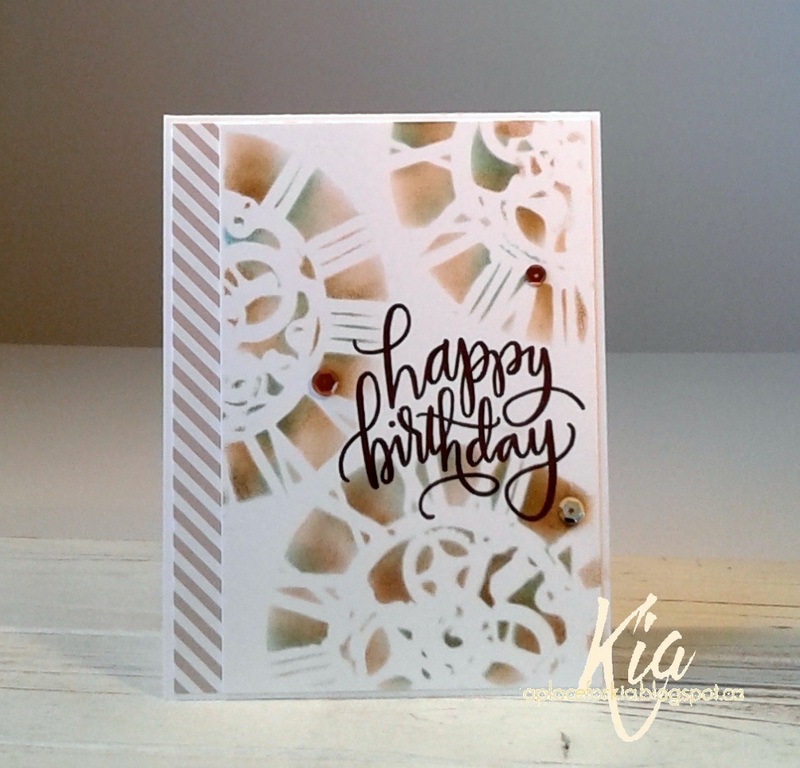 In die cut the circle and in my Misti placed the circle back in the cardstock and lined up my stamp accordingly, inking several times for good coverage. And, to finish I added a few sequins. Products: Crafts Too Hearts Love Hearts Embossing Folder, Simon Says Stamp Heart Flowers Die, Simon Says Stamp Stitched Circles, Crate Paper Heart Day, Neenah Cardstock, Zig Brushes, Simon Says Stamp Intense Black Ink, Sequins, Foam Dots and Strips. 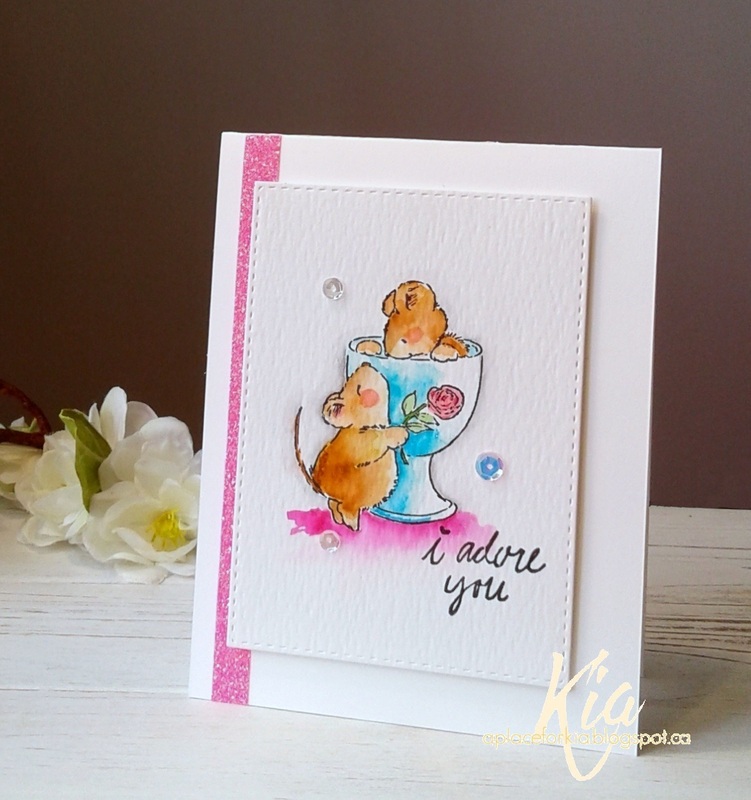 A Valentine for a ladies Father ... she very much liked the background I did on this card using alcohol inks, so I did another background for her, this time using a pale pink mylar. Inspiration for this design came from a delightful site called Spearmintlove.com and this baby blanket. I added the stacked hearts cut in the white with one heart filled in and coloured in pink, the hugs sentiment shadowed in black and a few gems. 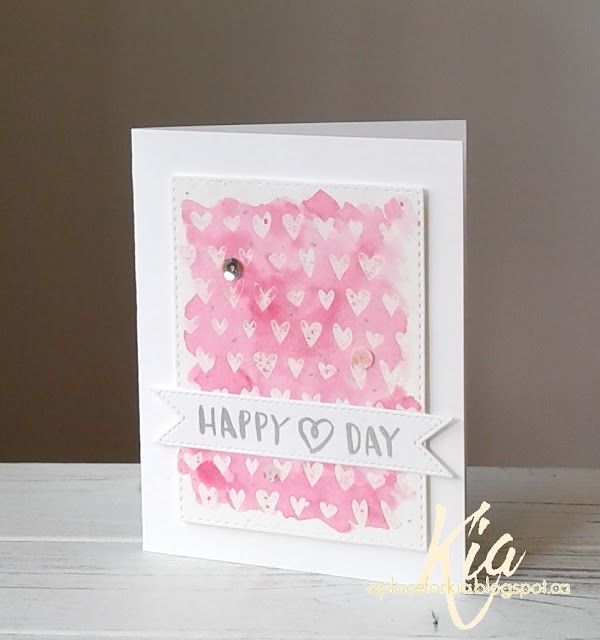 Products: Simon Says Stamp Stacked Hearts, Simon Says Stamp Hugs, Adirondack Inks, Pale Pink Mylar, Neenah Cardstock, Gems, Tim Holtz Distress Markers Picked Raspberry. 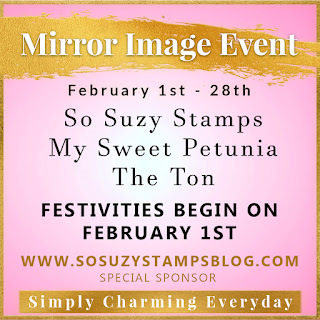 I am hosting the Clean and Simple Challenge today at Splitcoaststampers.com and wish to share my sample card I made for the challenge. I asked the participants to go back in their gallery at Splitcoast and pick a love/heart card from their past and use the same stamp but in the style they enjoy today. I picked this Penny Black stamp called "Cupful of Love". You can find the card I did back in 2013 here. My style has changed over the years, and practice makes a big difference (giggles). 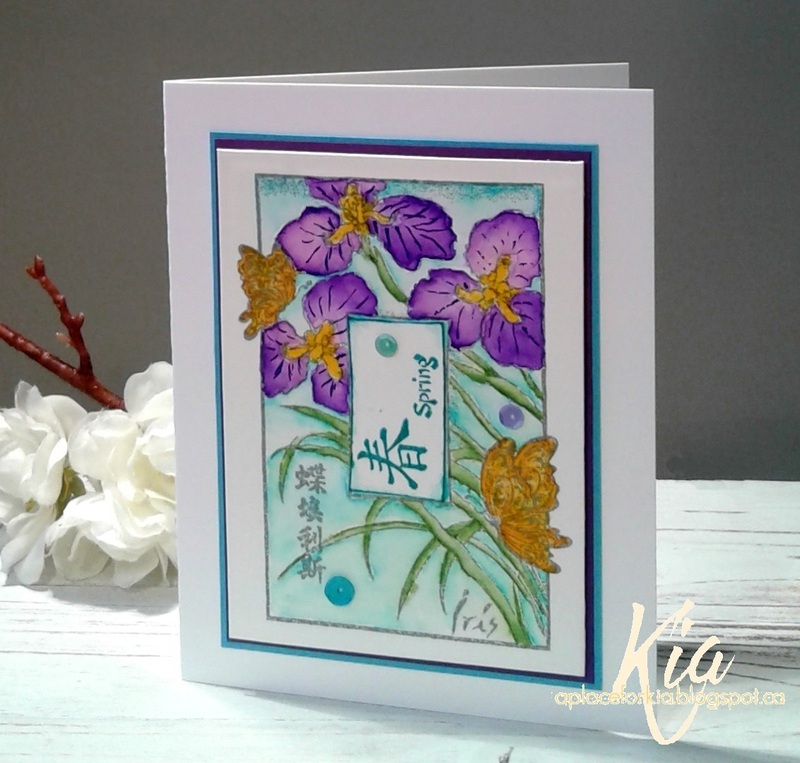 For today's card I used my Misti, a necessity when using a textured watercolour paper such I have, as getting a good impression takes about 5 inkings, and I heat set my image after stamping. Using my Zigs and aqua brush I watercoloured my image until I was happy with it. Once dry I placed it back in my Misti and played around with where I wanted my sentiment, again inking several times to get a good impression. I die cut the panel and added foam tape to the back of the panel. I then added glitter tape to my card base and attached the panel off centre for extra interest, and yes, I added sequins to my finished card. I hope you enjoy this card and thank you for visiting today. Products: Penny Black Cupful of Love Rubber Stamp, Crate Paper Heart Day Stamp Set, Simon Says Stamp Stitched Rectangles, Simon Says Stamp Intense Black Ink, Zig Clean Color Brushes, Aqua Brush, Neenah Cardstock, Ranger Watercolour Paper, American Crafts Glitter Tape, Foam Tape, Sequins. 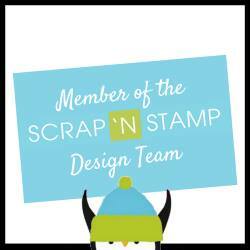 The Inspiration Challenge at Splitcoaststampers today was a visit to the Pandora website. Needless to say I enjoyed browsing through such a pretty place. When I came upon this charm, I stopped looking. To start, I die cut my watercolour paper with the stitched rectangle die, then did a emboss resist watercolour wash for my background. Once dry I splattered with silver paint. I attached the panel to my card base with foam strips. 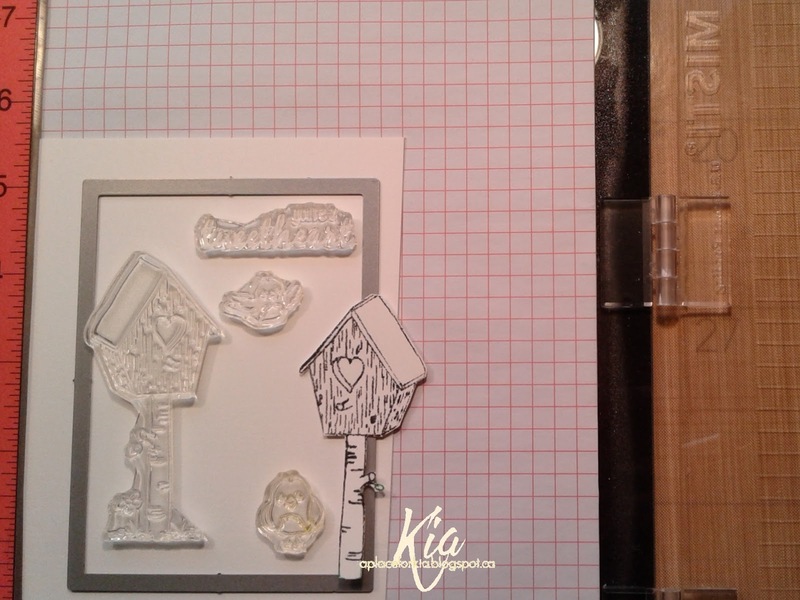 I lined up the sentiment and the label die in my Misti, then die cut the label and placed it back in the negative left in my Misti, which was already aligned for my sentiment, which I heat embossed with silver embossing powder. And, yes more sequins to finish my card. I do love my pretties. Thanks so much for visiting today ... see you next time. Products: Simon Says Stamp Stitched Rectangles, Frantic Stamper Stitched Double Fishtail Labels, Crate Paper Heart Day Stamp Set, Simon Says Stamp Drawn Hearts Background Stamp, Winsor Newton Permanent Rose Watercolour Paint, Fabriano 140lb Hot Press Watercolour Paper, Neenah Cardstock, Clear Embossing Powder, Silver Embossing Powder, Embossing Ink, Martha Stewart Silver Glitter Paint, Sequins.